Never doubt the power of charred eggplant. Each eggplant about the size of a large mug, the skin peeled slightly then placed, with a bit of olive oil, in a frying pan. Next: the stuffing, meat and rice, fresh tomatoes and a mix of fresh spices from cumin to sumac, all filling the room with a fragrance that’s rich and bright and dizzyingly delicious. Not only can a good meal soothe a grumbling stomach, it might well change the world. 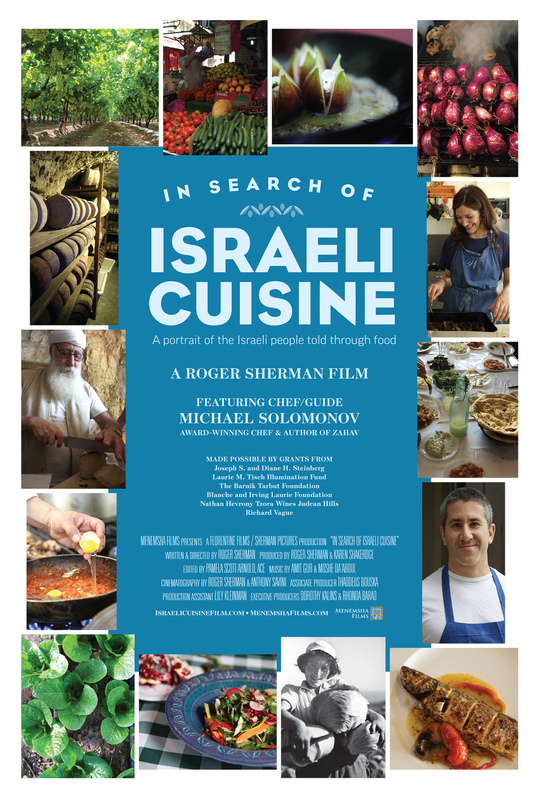 “You can’t be my enemy when sitting at my table,” one chef after another told director Roger Sherman and chef/guide Michael Solomonov as the two traveled together making a film about the food of Israel. 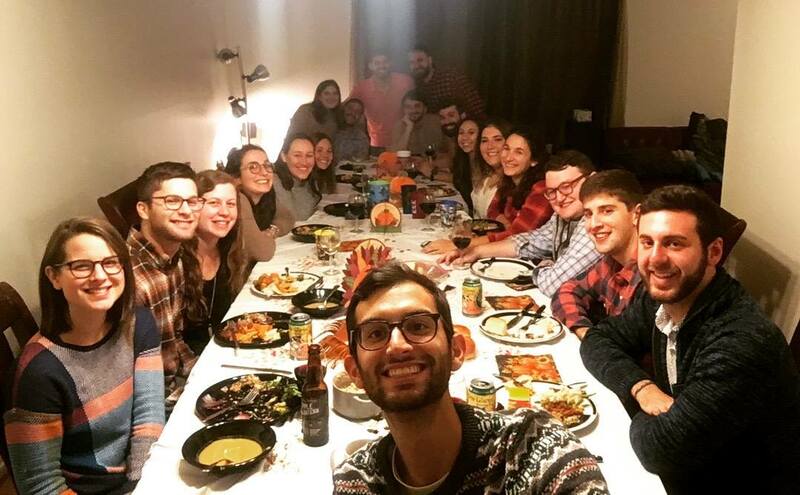 In Search of Israeli Cuisine is one of 30 films in the Jewish Community Center of Metropolitan Detroit’s Annual Lenore Marwil Jewish Film Festival, May 8-19. It will be shown Monday, May 9, preceded by a talk-back with Roger Sherman, an Academy Award-nominated filmmaker whose other works include The O. J. Simpson Trial: Beyond Black & White, Medal of Honor and Chevy 100: An American Story. The May 9 event also includes a strolling dinner, for patrons, featuring the food of Michael Solomonov, whose restaruant Zahav, in Philadelphia, was named one of Esquire’s Top 20 New Restaurants in America. “In Search of Israeli Cuisine” includes interviews with restaurateurs and home chefs, cheesemakers and vintners, all reflecting the diverse (believed to be about 150) backgrounds and styles in the country. Arab and Israeli chefs work together. 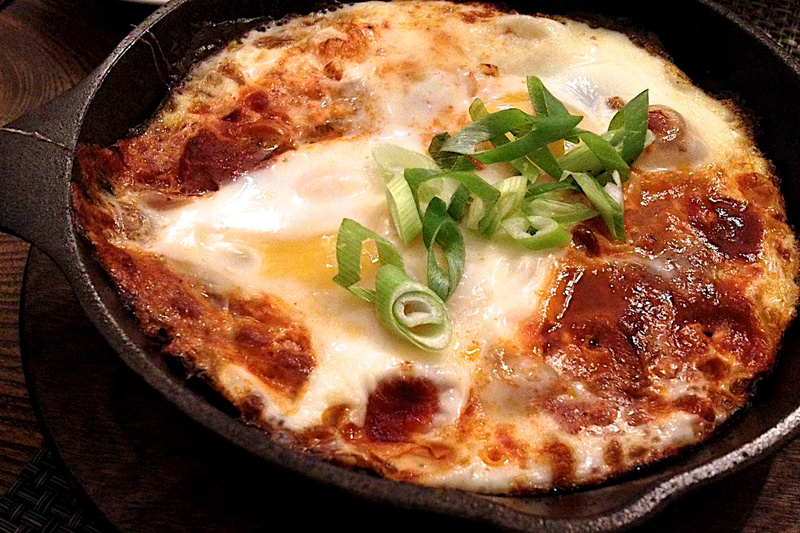 Young cooks brilliantly reinvent favorite dishes from their great-grandparents. And trained chefs weave together something old (like herring) with something new (like aioli) to create something completely surprising. Viewers will see how ancient irrigation techniques are being used to water vegetables growing in the desert, learn which famous Israeli is the man behind the development of cherry tomatoes, discover secrets to making the finest kugel, visit the store of a spice seller whose family has been in business more than 400 years and watch as tiny ovals are shaken – gently – from trees and become the most luscious olive oil in the world. Sherman says he set out to make a film that has nothing to do with the usual (like politics), but instead tells the story of Israel’s food which is, in the words of popular parlance, all good. Film Festival Chair Eric Lumberg also highly recommends The Kind Words (8 p.m. Thursday, May 19) and Apples in the Desert (8 p.m., Monday, May 16). The Kind Words is the story of three siblings who discover, after their mother dies, that they have no biological connection to the man they knew as their father. So this curious collection of siblings (one is estranged from her husband, one is bisexual, one is religious) set off to learn the truth of their parentage. Apples from the Dessert is the story of a young woman named Rebecca, the only daughter of an Orthodox Sephardic family, who runs away when her father arranges her marriage with a widower with five children. Finally, the family reunites and must all confront their truths. All films will be shown at The Berman Center for the Performing Arts unless otherwise indicated. For information and to purchase tickets: www.jccdet.org/filmfest or 248.661.1900. 8 p.m. In Search of Israeli Cuisine (see above). Talk-back with Roger Sherman before the film.